A look back at the top moments from this past weekend in the NBA. 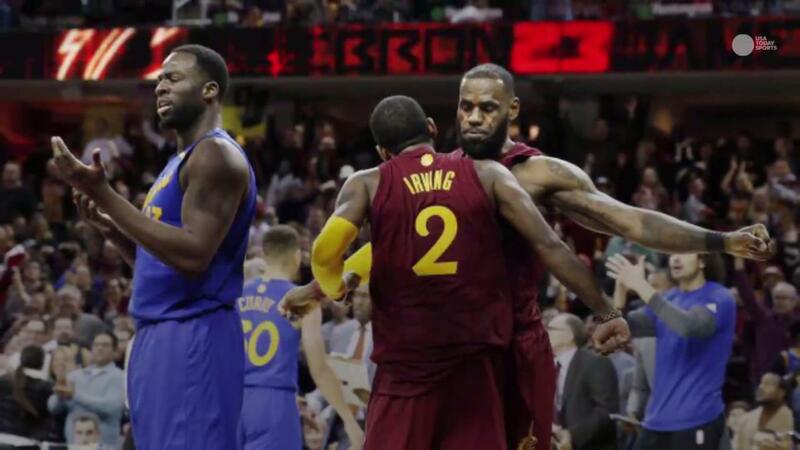 CLEVELAND — There was no air of satisfaction in the Cleveland Cavaliers’ locker room Sunday after the defending champs overcame a 14-point fourth quarter deficit to notch their fourth consecutive win over the Golden State Warriors. Nor was there talk of a Finals three-quel that would be the first in NBA history. For the Cavs, the down-to-the-wire victory was nothing short of a Christmas Day miracle to the 20,562 fans in Quicken Loans Arena. But to them, was just another tally in the win column. It was another step forward in the LeBron James-led journey that reached uncharted territory 189 days earlier when he helped put an end to Cleveland’s 52-year title drought. For fans and reporters, it was another must-see heavyweight bout. Another chapter in what’s quickly become the league’s fiercest rivalry.